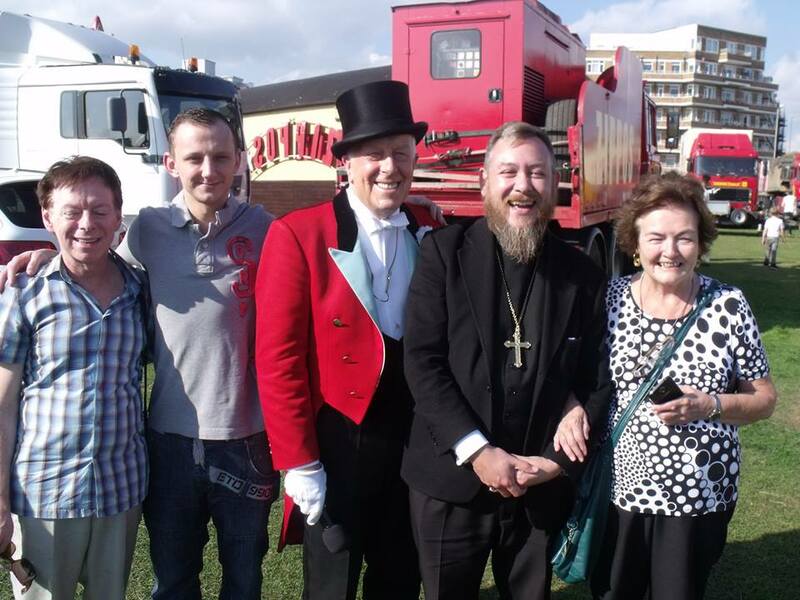 Brighton, UK: Through his long standing relationship with Zippo’s Circus since walking a tightrope over the Big Top for charity, Metropolitan Jerome OSJV was able to treat some of the Cherubs Kitchen team to a visit to the circus while it was in Brighton & Hove. Pictured with Norman Barrett, the ringmaster and Metropolitan Jerome are Barbara the accountant and Alex an apprentice chef. Cherubs Kitchen was founded by Metropolitan Jerome in 2014 as a commercial catering operation to bring about positive social change; profits go to local food and homeless charities and industry professional apprenticeships in catering and hospitality are provided.